Is Petty France Manor House haunted? The Petty France Manor House in Gloucestershire was built in 1812 for Robert Jenkinson, who was the 2nd Earl of Liverpool and Prime Minister from 1812 to 1827. Lord Wellington was known to have stayed in the house during the Waterloo campaign. It's acted as a 5-star hotel for the past 40 years and has been upgraded and has been host to many famous guests. 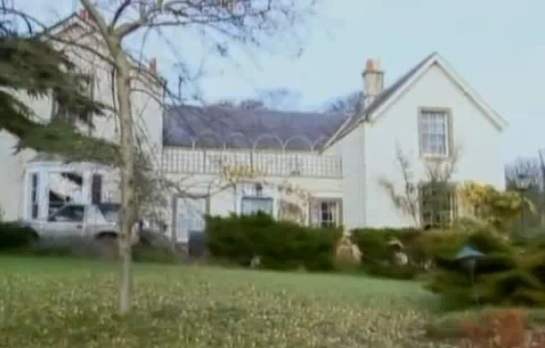 Could this be the most haunted building in Britain? A huge number of sightings have been witnessed over the years, with numerous different spooks around the house! Most frequently reported is the ghost of an unknown male, who's often seen sitting at a table for one in the dining room before disappearing through to the sitting room. The most famous ghost is the "grounded" spirit of Amelia Bank-Jenkinson (sometimes known as Emily). She died in 1770 as a result of the premature birth of her child. She still roams the house searching for the soul of her lost infant. Unfortunately the child wasn't developed enough to gain a soul, which is why Emily is still looking. The restless spirit of Emily has even been caught making a chandelier violently swing on camera, when requested during a seance. Owner Lynda Sanderson once told the story of a family who stayed at the manor for a few months. The family has an 11 year old daughter, Amy. When Amy was asked if she'd be sad to leave Petty France, she replied saying "I will be sad, but I'll be glad to get away from all those people in my room..."